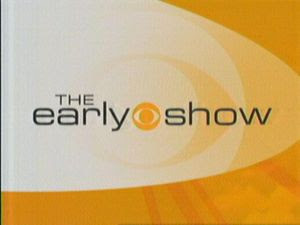 Celebrity Cosmetic Surgery: Dr. Youn on the CBS Early Show This Morning! I had a nice time meeting Dr. Alan Baumann, hair restoration specialist from Florida. He was also on the show and is a very polished speaker. I've always said I'd rather stick pencils in my eyes than perform hair transplant surgery, but he seems to have a real passion for it. If you have interest in hair loss, click here for his very comprehensive blog. If you look real hard you may even find a picture of us with Dr. Jennifer Ashton from the Early Show. I also briefly met former American Idol runner-up Katherine McPhee. She's an amazing singer and very sweet and pleasant off-camera. Even though she's changed her look, she definitely reminds me of when I saw her on American Idol. I'd like to thank all of the staff at the Early Show for their hospitality. All of them, from the anchors to the producers were a real pleasure to work with.